Our advice is not to waste time “thinking” unless the pool can fit. A swimming pool can transform your backyard and lifestyle, but your intended use coupled with your overall garden design goals may prevent you from fitting a swimming pool. We suggest you first read the following notes on ‘Intended Use and Garden Design’ then request the Endless Free Pool Planning Guide to make sure a pool will fit. The intended use of your swimming pool will dictate the ‘type’ and ‘size’ of the swimming pool that you eventually choose. You may not be able to install a swimming pool in your backyard space because your ‘intended use’ is not achievable. Requirements: Long Pool, Deep End. ‘Type’ Selection: A deep end may dictate an ‘in ground’ swimming pool’, however easements will not allow this. ‘Size’ Selection: Swimming laps require a longer pool, however there is not enough length available in your backyard. Do you want a visually appealing and functional backyard? Do you want to make the most out of the available space and add value to your home? Are these your goals? You may not be able to install a swimming pool in your backyard space because your ‘Garden Design’ is not achievable. Design Feature: Space for family dog and children’s play area. Requirements: Trampoline, swings and slide plus lawn area. Pool Selection: None, not enough room for a swimming pool with this design feature. Each pool installation typically requires some form of excavation works, whether it be a minor site preparation for an above ground pool or digging a hole for an in ground pool. 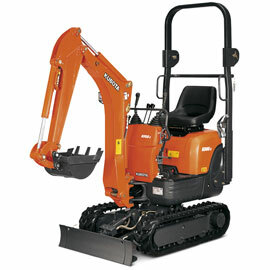 Do you have enough access for this machinery to enter your backyard? You cannot place a pool just anywhere in your backyard. There are rules and regulations that must be adhered to before selecting the placement of your pool. Placement will be governed by ‘Building Regulations’ and ‘Town Planning’. We suggest you first read the following notes regarding ‘ Regulations’ then request the Endless Free Pool Planning Guide to make sure a pool will fit . A building permit is written approval from a registered building surveyor. It shows that your approved plans and specifications comply with building regulations, and allows building work such as the installation of a swimming pool to start. An easement is a specified party’s right to use a defined part of another person’s land without owning it. An easement can be stated and visible on the title plan or it can be implied. Easements may be provided over a lot to enable access for maintenance and repair or to provide water, sewerage and electricity services. i. You cannot install over an easement such as storm water drainage as they are permanent and run with the land. There is an allowable distance from an easement. This distance may vary depending on the depth of the easement excavation; however allow at least 400mm until requirements are known. i. Excavation is not allowed within the angle of repose if it will affect the support of an existing building (house, garage, shed). As a guide only, you could calculate the distance required from a building as the depth of the pool. In some situations the excavation can be less than the angle of repose; however this generally involves underpinning or some other form of foundation works to protect buildings from being undermined. i. Where a boundary fence acts as a safety barrier to the pool, it should not be less than 1800mm. ii. Permit restrictions usually include a 900mm drop exclusion zone from a boundary fencing as long as the fence has a height of 1800mm. Exemptions may apply in some circumstances, if a taller fence or barrier is installed. iii. All doors and sliding doors are not permitted to open directly into the pool enclosure and windows are to protected accordance with AS1926-2012. Planning permits are legal documents giving permission for a land use or development, and may be required by your local council. If a planning permit is required, it must be obtained before a building permit can be issued, however, both applications can be made at the same time. 2.Overlays – Some properties have overlay regulations**. 3. The Heritage Overlay- This overlay determines the assessment of suitable development that can take place on or adjoining these sites to ensure the cultural heritage or Indigenous cultural values of a place or area are not compromised. When having a pool delivered, access for crane lift into the excavation needs to be considered. Is there adequate crane access for a standard pool delivery? Small or Supersonic pools (under 7m long and 3.5m wide) require a truck mounted crane for transportation. This mounted crane can lift the pool into the backyard as long as the reach is manageable. The reach capability of this crane depends on the weight of the pool. If the reach of the pool is excessive then a mobile crane needs to be used to lift the pool into position. Large pools (over 7m long and 3.5m wide) must be transported to site by a pool trailer and then placed into the position by a mobile crane if access is poor. The following video shows mobile crane lift for an 8 x 4m swimming pool. Don’t waste time “thinking” unless the pool fits your budget and you’ve created a plan. What Types of Swimming Pools Can I Purchase? When looking to purchase a swimming pool, one of the first things you must consider is what type of swimming pool would best suit your family and your overall plan. Read further for the pros and cons of each type to discover which options will suit your site and meet your needs best? Today swimming pools can be placed in virtually any garden but the overall cost of the installation and delivery will be determined by your site conditions. Installing a swimming pool yourself can be a cheaper alternative than having a pool builder supply and install one for you, but you must apply to become an owner builder. A final quotation will be provided once the builder has been given more details about your site. Shoring up of wet or unstable soil or reinstatement of any cave-in of the swimming pool excavation. 4. When the location and orientation of the pool has restrictions. Shoring or retaining walls or other means of stabilisation to ensure stability of overburden excavation and/or to protect adjacent buildings. *This package includes a skimmer, a filtration pump and a cartridge filter. Water is drawn from both the pool and the skimmer and is transferred to a pump. Once it reaches the pump, the pool water passes through an initial sieve called the “strainer pot basket”. This basket will remove most debris from the water prior to sending it along to the pump housing. Water is then passed through the pump’s motor to another sieve called a filter. This filter removes any remaining debris and contaminants. The pool water is then returned back to the pool. This process of circulating the water is called the filtration cycle and takes around 6 – 10 hours a day in order to turn over the total water volume of the pool. If the equipment, such as a gas heater has been fitted; the water would also pass through this piece of equipment to heat the water, before returning back to the pool. The cost of a pool will increase if the standard equipment is upgraded. The standard filter is upgraded to a bigger filter. The standard filter is upgraded from a ‘cartridge’ filter to a ‘sand’ filter. The cost of a pool will also increase if extra equipment is selected. Prices can start from a little $15,000 when a ‘DIY’ swimming pool kit is purchased. *These costings typically would include only standard equipment, delivery and installation with easy access and no location restrictions. These costings typically wouldn’t include any fencing or landscaping. The total cost of your swimming pool project will be made up of many items. These items can be classified into six costing groups and may or may not be applicable to your project. Costs related to standard equipment, delivery and installation. Costs related to upgraded and optional equipment and its installation. Costs associated with poor or restrictive access, reactive soil or sloping land. Costs relating to landscaping items or service connections. Costs related to miscellaneous items that are exclusions in the building contract. Don’t waste time “thinking” unless the pool will suit your lifestyle. What are the Benefits to Owning a Pool? There are many benefits to owning a swimming pool. We conducted a survey of our customers to find why homeowners want their own swimming pool. I can control the cleanliness, as opposed to public pools. I gained fitness from low impact exercise, and I did not have to swim. I felt more relaxed; it has been good for my mental health. Better sleep and… longer sleeps for the kids after a day in the pool! Great place to cool off and escape the heat. Great way to bribe the grand-kids to visit. I know where my teenagers are and what they are doing. The video below shows that besides learning water safety skills, research has also proven that there are many other benefits to children who begin swimming at a young age. Radio National PODCAST talks on all things swimming. Read the Blog “25 Great Reasons to Swim” – Why you need a pool ASAP!